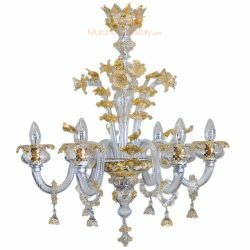 The displayed exquisite Dolce Vita Chandelier combines ornate handcrafted crystal glass with a magnificent 24 karat gold finishing. 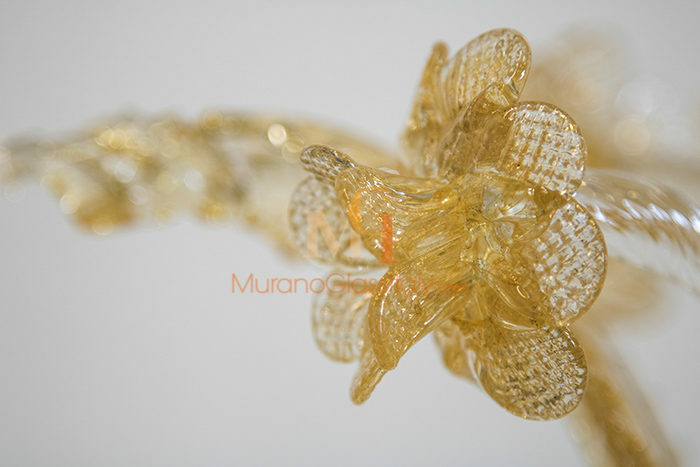 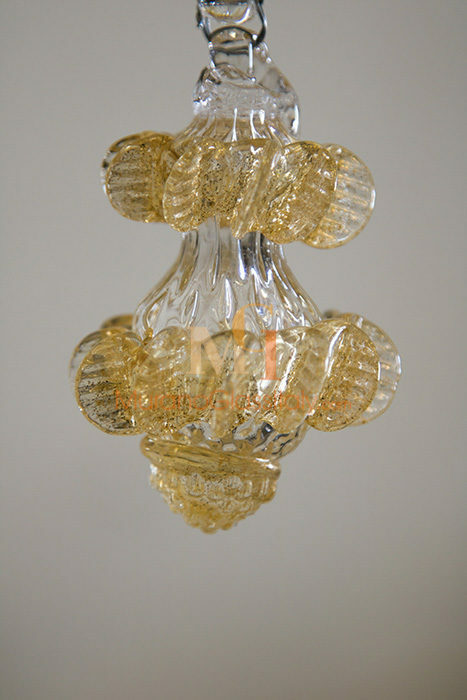 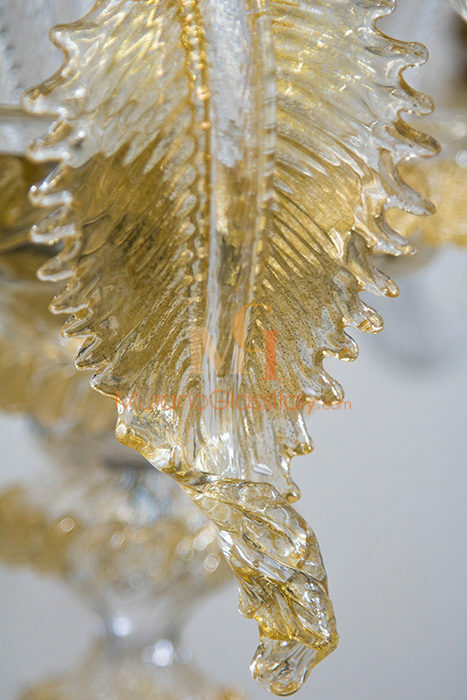 The delicate amber colored leafs flatter the elegant style of the chandelier perfectly. 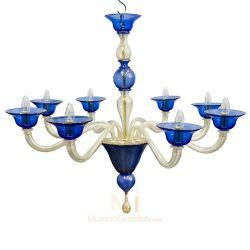 Above all, Dolce Vita lends a special ambience to your home. 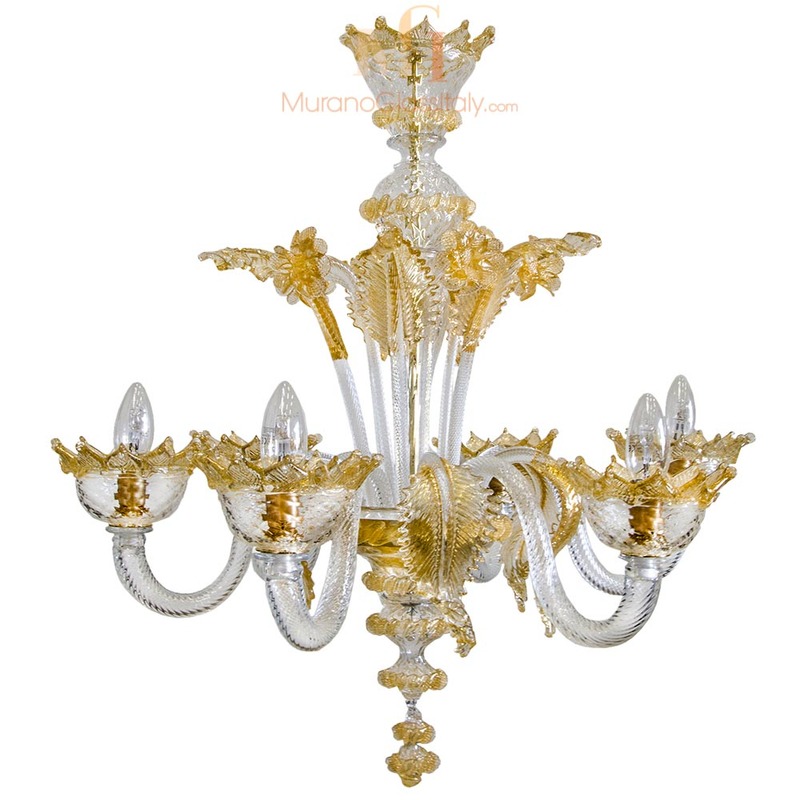 A luxurious interior style. 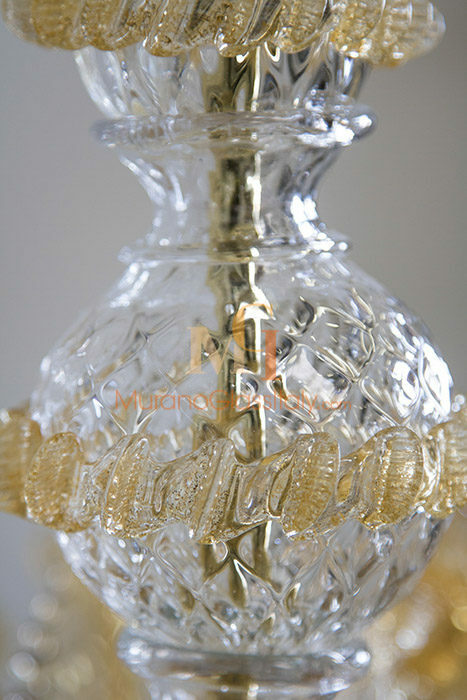 This masterpiece was born out of the passionate play between fire and sand under the expert hands of the Maestro. 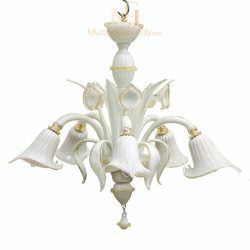 The Venetian Chandeliers Collection includes 100% handmade masterpieces made in the lagoon of Venice, Italy. 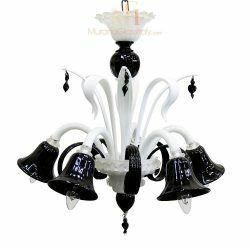 As the displayed chandelier is handmade, it can be customized in the number of lights and colors to fit your interior perfectly, for more information contact us at customer@muranoglassitaly.com.